Alright, so why am I writing a post about how to market on Quora? Well, when it comes to driving traffic and lead generation, I’ve come to the conclusion that Quora is one of the best platforms for digital marketers to spend their resources on. And when I say marketers, I also mean bloggers, website owners, or even businesses. This Online World is predominantly about making money, saving money, and generating passive income through the use of technology. 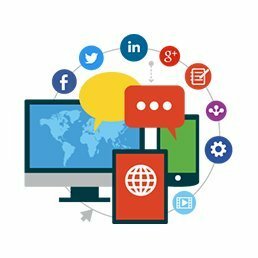 However, digital marketing is often a critical component of generating passive income or making money as it can help people drive traffic to platforms you have monetized. I recently started a dropshipping business, and I use Instagram/Facebook to advertise my store and market to consumers. I also run this blog. Like most blogs, there’s a fairly steady relationship between the amount of monthly views I receive and how much income is generated. Regardless of the platform you run, gaining more traffic is never a bad thing. So, I want to share with all my fellow bloggers, dropshippers, and online money makers how to use Quora to drive highly qualified traffic to your website/blog. 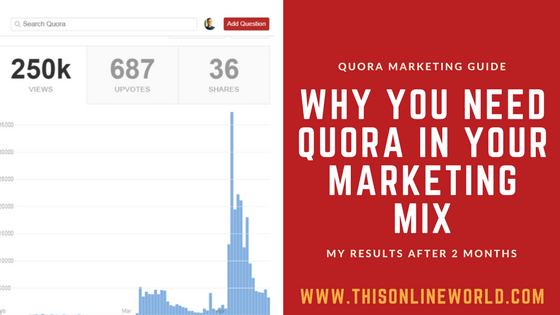 Why you should spend time marketing on Quora + my results from 2 months of Quora marketing. Setting up an engaging Quora profile. Finding your niche + working smart, not hard. The anatomy of a great Quora answer. The power of the Quora Digest. I’ve mentioned some preliminary results from my Quora marketing efforts in my latest income + blog update post, but I am going to get more in-depth. In short, it’s a question-answer platform where the content is provided, organized, and managed by the community. People ask questions they want specific answers to, and a myriad of regular Quora users or industry experts can chime in. If people like an answer, they can up-vote the answer and help push the author’s post to the top of a thread. Similarly, down-votes help deal with spam or poor answers. Users can also report answers, or suggest edits for the author. Ultimately, Quora is quite similar to Reddit in some ways, and quality is truly the key to finding success on the platform. Music (29.8 million followers, 207k questions asked). Writing (13.1 million followers, 116k questions asked). Finance (10.2 million followers, 126k questions asked). Healthy Eating (5.6 million followers, 63k questions asked). However, Quora still has thousands of topic categories, and can provide digital marketers with the ability to effectively reach their target market. 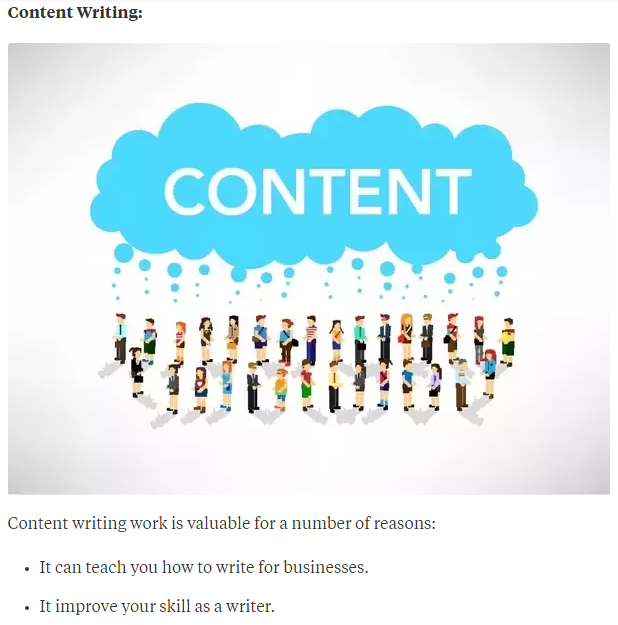 I mentioned the importance of creating high quality content in my SEO guide for bloggers. Quality content is still king. Thankfully, Quora also recognizes this fact and empowers users to vote quality answers to the top of results page. Considering that Quora has almost 200 million unique monthly users, it’s actually incredible that the platform has done such a great job at maintaining this standard of quality. Since you’re already creating incredible blog content that provides value to your current audience, it makes a great deal of sense to share this content with a similar but currently untouched audience that would also value your ideas. 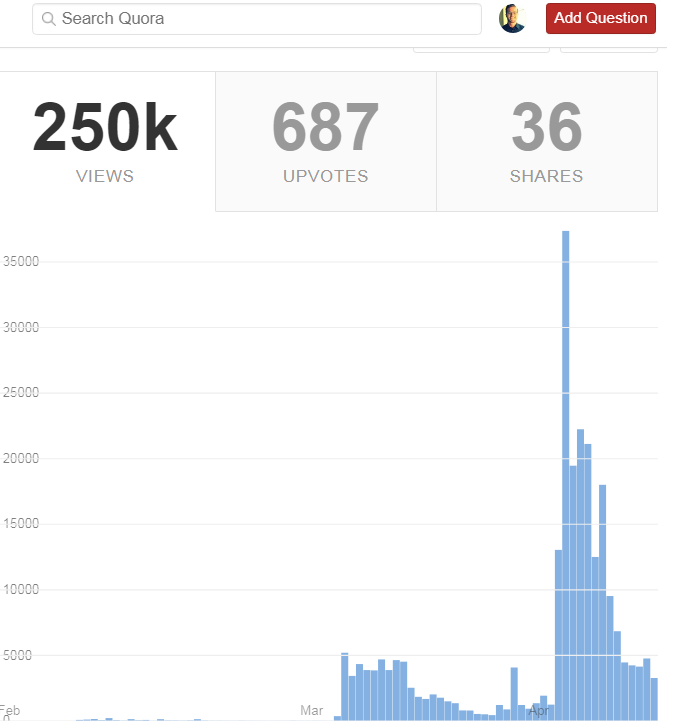 The 52 answers I have written so far have gained 250K views on Quora. This might not seem too great considering my answers have been viewed 250k times, but I am just starting out on the platform and learning how to optimize my answers to drive even more traffic. Additionally, Quora readers have also been referred to my other platforms, such as my Medium profile or my digital marketing business. Ultimately, by marketing on Quora, you can put your opinion, expertise, and helpful resources to work by assisting people that are actively searching for solutions in your particular niche. That’s a marketing channel people would pay a lot of money for…but on Quora, it’s free. If you want to assert your expertise on a particular niche or topic on Quora, you need to also create a professional Quora profile. Your Quora profile is the face of your marketing efforts on the platform. While you have limited space, you can leverage the information people see to drive qualified traffic to your blog or business. My blog URL will appear next to my name. When people see my answers, they will also see my blog. I describe what my interests are, and what value I will provide to readers. I link to some of my best posts and other platforms where people can find/reach me. 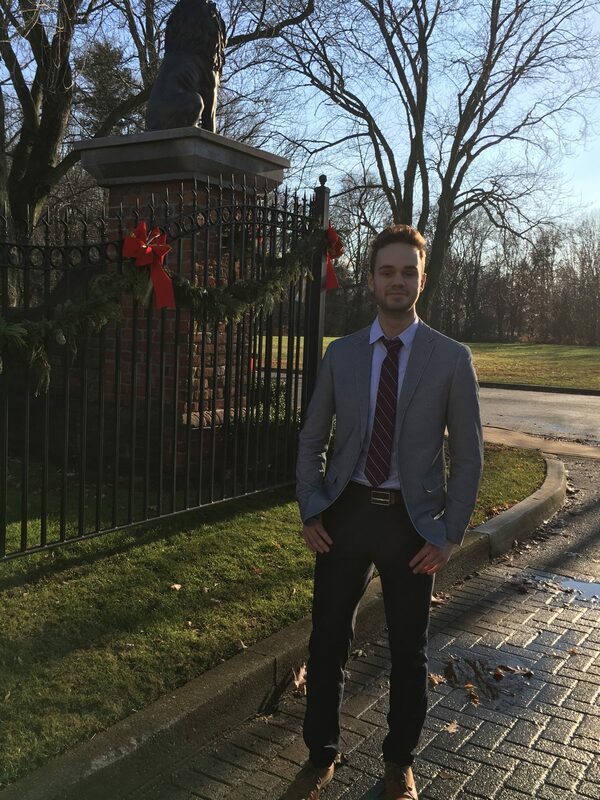 I include credentials that are relevant to the topics I answer questions in (mostly marketing, SEO, and passive income). I use my real name – Quora really doesn’t like pseudonyms and requires you to sign up with your real name or remain anonymous. His profile is simpler, contains less links, but is still an excellent template to follow. I mean, just look at his credentials. When Neil answers, people immediately recognize that he is a Forbes rates top 10 marketer and best selling author. That definitely gains some attention. Whatever style you choose for your Quora profile, be sure to optimize it and play around with what works. In some sense, it acts as a mini landing page for your audience. Add your credentials, link to your website, and don’t be afraid to share your knowledge and accomplishments. There are plenty of Quora marketing guides out there that outline the general idea behind how to promote your blog or business on Quora. However, a lot of them fall short because they don’t outline efficient ways to use the platform. In my first month of answering Quora questions, I didn’t get any results. I’d answer questions, interact with the community, but my referral traffic was stagnant. Follow the most popular topics in your niche. Follow the main influencers and industry experts in your niche. By all means, do both of these things. Search for your area of expertise, and examine what people are asking for so you understand the gist of the niche. But please, don’t just answer questions that pop-up on your homepage. Questions that appear on your homepage are usually fresh questions that have just been asked. This means they will have low views, few followers, and no traction. If you want to save time and efficiently market on Quora, you need to find the hot and trending questions to drive the most traffic back to your website. Look for a high number of followers and views on a question. Look for questions where the top answers aren’t that great. Make sure the question is rising/trending, but not already dominated by industry giants. I spend my time answering questions on Quora that are rising in popularity and where I have a fighting chance. If Neil Patel, Moz, and 5 other SEO experts have already answered a question from 3 years ago, I leave the thread alone. Remember, Quora is all about providing value to readers. Therefore, if a question has already been sufficiently answered and you have nothing else to add, don’t bother. When I answered it, it was more like 200 followers and around 300,000 views. Additionally, the top answers were all horrible. They were all recommending cheap survey websites and other inefficient ways to make money online and I saw and opportunity to add a new perspective to the question and increase the overall thread value. So, I answered with some actual advice and people responded quite well. 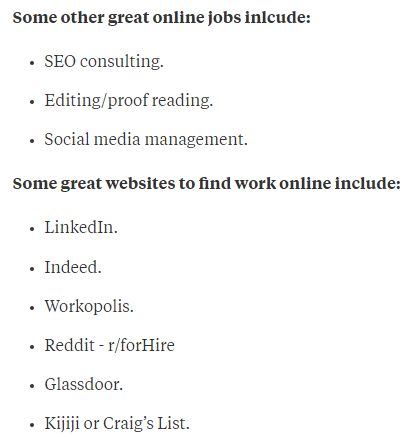 I even expanded on the question a bit and outlined some specific jobs they should look for. If you want to read through the thread and find my answer, it’s approximately the 4th or 5th one down from the top. Here is my general outline for answering Quora questions in a way that provides value to readers while still promoting my blog/content without being overly pushy. I’ll use my answer to the work-from-home question again. Writing a great Quora answer should take around 10-15 minutes if you really need to work to provide the best answer in a thread. However, the results can be worth it. This particular answer received almost 170K views and 505 upvotes, and only took 10 minutes to write. Using bold text to outline key concepts. Using sarcasm or humor (Quora readers seem to like this a lot). Posting screenshots of proof/results whenever relevant. Chunking your writing into small paragraphs or sentences (for easy reading, especially on mobile). Highlighting missing information in a thread. As I mentioned, when it comes to marketing on Quora, efficiency and value are 2 immensely important elements to consider. However, there are a few other practices I have used to effectively market my blog on Quora, and the same tips can be applied to any other website or business. When I first started marketing on Quora, I would research questions I wanted to answer in single file. Find a question, answer it, and then continue the search. Plan your marketing method. Take some time to research 100 questions you want to answer and compile the data into a simple spreadsheet. Then answer them. This small change will dramatically increase your effectiveness at marketing on Quora. If you are constantly alternative between your research and marketing efforts, you will not be able to rapidly answer questions to drive traffic to your website. You don’t have to pay for Quora ads to actually benefit from their advertising platform, although a lot of webmasters who market on Quora don’t know this trick. 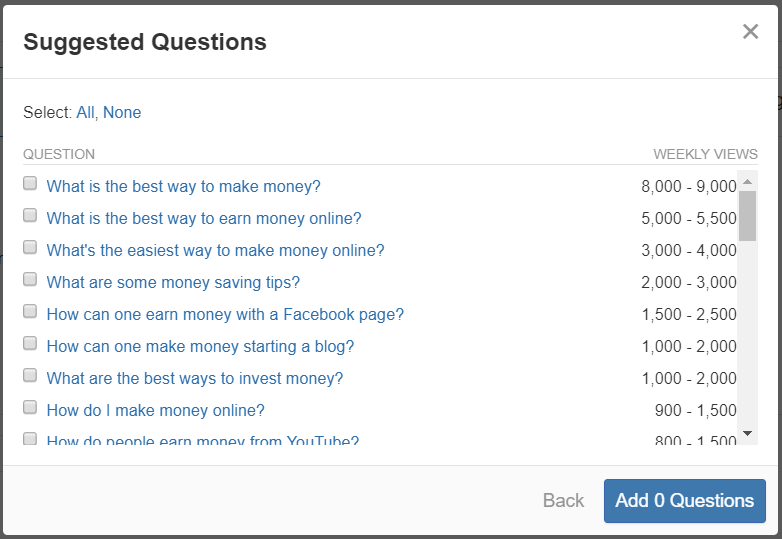 Anyone can create a Quora Ads Manager account, and this allows you to access some pretty valuable data about Quora. While this isn’t my go-to research method for kickstarting my Quora marketing efforts, it can help if you hit a roadblock in finding the right questions to answer. Additionally, it also shows weekly views on a Quora question, so you can potentially catch a question as it is picking up steam and be one of the first answers on a trending thread. Networking on Quora is absolutely vital for successfully marketing on Quora, and this fact is overlooked by many people. ‘how trustworthy voters are’ – this is the golden ticket. If you can network with other Quora members who are knowledgeable in your niche, gaining their votes will help you rank above other answers and gain more views. More views will inevitably lead to more traffic, and you will also gain more Quora followers to further snowball your marketing effectiveness. So, spend some time networking on Quora. Follower other bloggers or business owners in your industry, upvote good answers, send direct messages to strike up a conversation…just do something! 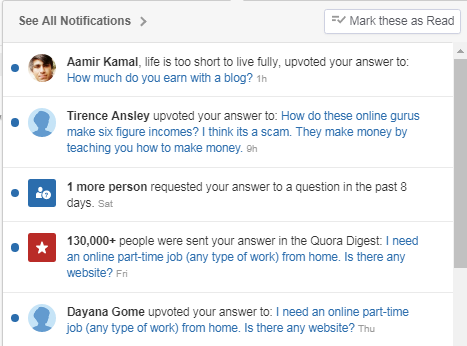 I’m going to mention one most aspect of Quora marketing because it has the most potential. If you’ve ever signed up with Quora, you might remember receiving emails labelled Quora Digest. The Quora Digest is a collection of the best answers on Quora that periodically get sent out to all users. The Quora Digest is also personalized, so my digest will always contain the best answers in topics like SEO, marketing, and passive income. The Quora Digest is the most powerful aspect of marketing on Quora. 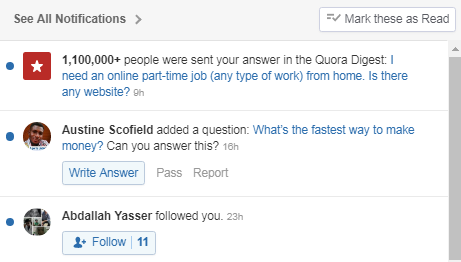 My answers have been featured in the Quora Digest a few times, with 1.1 million email recipients being my largest feature. Sure, the traffic falls off after a few days, and not every person out of that 1.1 million email recipients will even read the email or my post. How Hard is it to be Featured in the Quora Digest? From my own experiences with Quora, I truly believe this depends on the quality, depth, and breadth of your writing. On Quora, I’ve predominantly focused on writing under the topics of making money online, SEO, and blogging. I’ve probably been featured around 5-7 times, with Quora Digest blasts ranging from 10,000 readers to my mega 1.1 million feature. Most of my features came alongside a viral Quora post (the once I referenced above), and have since petered off. In fact, I haven’t had a Quora Digest feature in about 1.5 months. So, if you are looking to be featured, you’ll really need to put in some effort. Write frequently – aim to answer a question every day or so if you are able. Write long form, high quality answers that go above and beyond. Build your Quora network and grow your follower count – upvotes are a great way to get noticed on Quora and pushed to the top! Strike while the iron is hot. When you have a series of Quora Digest features, be sure to monopolize on the traffic spike your website/blog will experience. 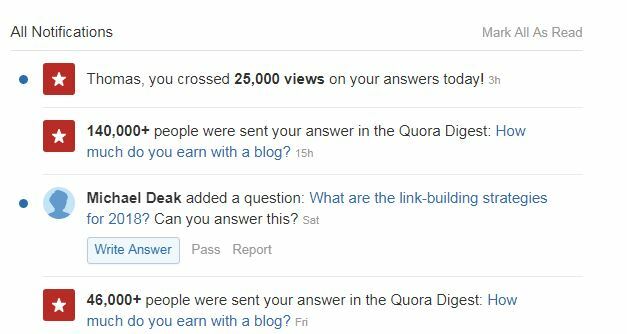 Between answering questions on Quora and being featured in their digest, you can establish a steady stream of referral traffic for just a few hours of work. I implore you to take some time and try your hand at Quora marketing! Even if you only answer a question a day for 1 month, you should be able to reap the rewards if you work efficiently. Just make sure you always have quality and a value-add perspective on your mind when helping people on Quora. You will be rewarded for the quality of your answers. This is hands down the most helpful article I’ve read in a long time. I had heard Quora would be a good resource for marketing, but I didn’t really know where to start. I’ll be bookmarking this page and setting up my Quora profile this week. Thank you! This just blew my mind wide open. I had never even considered this as a marketing option. I’m so glad I read this. Totally bookmarked it and will be returning to it again and again! I haven’t heard of Quora before! I will definitely be bookmarking this!! This really was a great post! I’ve never knew Quora to be useful for driving traffic. But it totally makes sense they way that you broke this down. I’ll definitely have to look into this. Thanks so much for sharing!